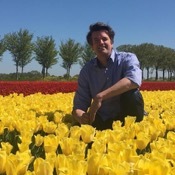 Traveler Reviews for Private Tour in Rotterdam, Netherlands by Tour Guide Eric N.
Highly recommended . We had a comfortable and nice day , we cover what we want to cover on the tour . He is very considerate when he saw our luggage occupied a lot of space in the car , offering to first drop off the luggage at the destinated hotel , though it was a bit detour from what we guess. TOUR GUIDE RESPONSE: Thank you Tresy, have a great time in Norway too! Terrific guide, knowledgeable and organized and adaptable! Can't wait to be back for another tour! TOUR GUIDE RESPONSE: Thank you Julia and John! Outstanding tour. A very difficult assignment of 4 cities (Delft, Leiden, Hague, Rotterdam), including all key museums (only open 10-5) in one day. Goals brilliantly met. Eric is perfectly fluent in English (sensitive to idiom and irony), so not a wasted word. He was wonderfully sensitive to when narration or awed silence was preferred. Highly recommended. We are fortunate to have Eric as our guide. He is knowledgable and well organised. The itinerary is flexible and cater to our need. We learn the history and background of all the visiting spots from him and he is very helpeful. He speaks fluent English and drives safely. It's a pleasant 9 hours tour guided by him. We highly recommend him. TOUR GUIDE RESPONSE: Thank you very much for the rating, Marion, it was a pleasure being your guide! Eric has been simply outstanding. He spend time on every minute details about the attractions and their history that me, my wife and my daughter loved it. Without him the tour would have been dull. TOUR GUIDE RESPONSE: Thank you very much, I loved your company! Eric was great! He was flexible and extremely accomodating for a family with 2 children aged 16 months. We got a great tour of the 3 cities. Thank you!!! TOUR GUIDE RESPONSE: Thank you! I really had a great time with you, I hope you all had a wonderfull second week in the Netherlands too! Just came back from an amazing experience in Amsterdam and it all started with a tour with Eric to Leiden, the Hague, Rotterdam, and the Delft. Eric was very prompt when picking us up at the hotel and accommodating with our needs, answering our questions and stopping for much needed caffeine and lunch along the way. Due to a back injury I have limited range in my walking ability and he was very kind in making sure that I didnt have to walk for long distances. He is an excellent, knowledgeable guide! TOUR GUIDE RESPONSE: Thank you Kunjal, it was a pleasure to be your guide! TOUR GUIDE RESPONSE: Thank you for your kindness and for the positive rating. I am pleased to hear that you enjoyed the tour. You have been great company! My husband and I had 3 wonderful days with Eric. He was accommodating to last minute changes, showed us the "real" Holland, and was a thoroughly wonderful and honest person. The experience was like driving and touring with a friend. We visited an out-of-the-way artist's home and visited a place to have Belgium Fries that he had recommended just as easily. I highly recommend Eric and give him 5 stars. Simply put, an excellent tour. Eric was knowledgeable, and very flexible. We were able to see some things we ordinarily would have missed. He was able to also find a place to eat to accommodate my wife's food allergies. I would strongly recommend using him if you want to a flexible, enjoyable, tour of Holland. TOUR GUIDE RESPONSE: Thank you very much, it has been a pleasure! THe best of our European Tour. Eric is reliable & knowledgeable. He arrived earlier at the designated place. In our short stay of 8 hours, we had unforgettable tour of the city of Rotterdam, he arranged a private River Canal tour for 10 in an authentic 100-year-old Vintage boat (Excellent! 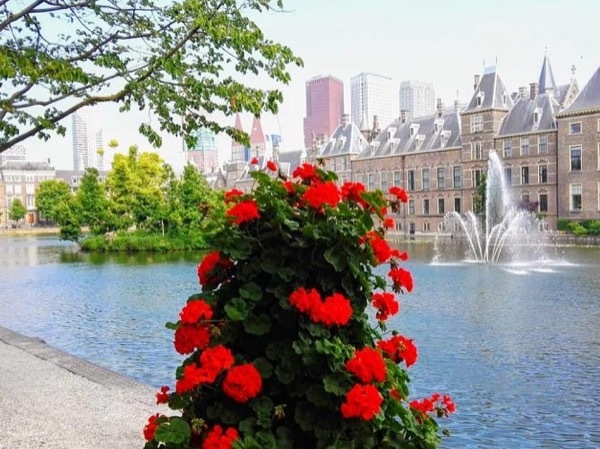 ), City Tour of Amsterdam and Museum (Beautiful! ), Visit the 375 year old Windmills (Unforgettable!) , Visit Leidschemdam, Rembrandt's Office, and the beautiful Bridge(Awesome). Champagne at the end was Big Suprise! TOUR GUIDE RESPONSE: Thank you Gerardo, it was really a joy to take you and your enthusiastic friends with me on a tour!! Eric was prompt, professional, knowledgeable, and charming. Our tour was so much more than we expected. It was a great day! TOUR GUIDE RESPONSE: Thank you so much, I had a wonderful day with you! Eric is a fantastic Tours By Locals Guide. He accomplished everything we requested beautifully and certainly did his homework on some of the extras. He is extremely polite and personable. We would definitely use Eric again and highly recommend him to anyone who is looking for a terrific guide. TOUR GUIDE RESPONSE: Thank you Richard and Mary, it was my pleasure! TOUR GUIDE RESPONSE: Thank you Barry and Gayle, you where great company! Outstanding day! Eric was the consummate host in our 8-hour tour with highlights of the Netherlands. The Keukenhof Gardens were beautiful...and Eric's commentary throughout the day was informative, personable and enthusiastic. We only wish we could have a guide like Eric wherever we went. Eric was especially patient with my 90-year parents and was extremely helpful with their special needs. Thank you Eric for a day that will have lots of special memories! TOUR GUIDE RESPONSE: Thank you, you have been great company and I have enjoyed the day as much as you did! Superlatives are not adequate to describe how outstanding Eric is and how excellent this tour was. Eric anticipated all our needs including pre-booking busy sites so we did not have to wait in line. Additionally, he planned our visits to arrive prior to the tour buses avoiding the crowds. And miraculously, he was able to find a glove that was thought to be "lost". Amazing! Whenever we're back in the Netherlands, we shall indeed retain his services again He's brilliant. TOUR GUIDE RESPONSE: Thank you so much Michael and Rebecca!